Great fame in horoscope, how to know the fame in life through astrology, Hurdles in getting fame, planets responsible for fame in life, what to do to get the great fame in life? Fame in life is a very important thing. Fame in life shows our importance in society. To get fame in this society is not as easy as it seems. Because there is a cut throat competition and so only working is not important but smart work is needed to get the real fame, the great fame. If the planets are not supporting in horoscope then also it is not easy for the persons to get the fame. If any person is having good power of planets then no doubt the person will get the great fame easily. What a great fame means? Great fame in the society means getting such position in society that people love to spend time with us, people like to learn things from us, people like to hear our voice, people like to follow our thoughts etc. Fame is a mile stone in the journey of success. If the Center houses of horoscope are positive and powerful then there is a very good yoga to get the real fame in life. 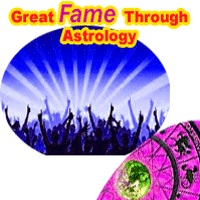 If the Powerful Jupiter is present in horoscope then also the person is able to get fame in life. If the Sun is supporting properly then also it helps to get great fame in social life. There are some special combinations of planets which if form in kundli or horoscope then also the person is able to get good fame in life. Gajkesari yoga, raj yoga, hansa yoga etc are such yoga which give fame in life. If the lagna, 4th house, 7th house, 5th and 9th house are generating positive impacts then also there is a great chance to get good fame in social life and professional life too. Hurdles are obstacles which lead to see downward in life. If any person is not able to get the fame in life then definitely the person has some negative impacts of planets in horoscope. It is very necessary to know about some of the obstacles which create problems in achieving fame. 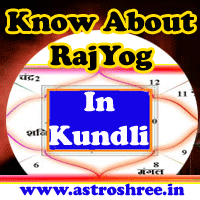 If Sun is malefic in kundli or birth chart then be careful because malfic Sun generate yoga of defame. If there is any type of grahan yoga in horoscope then also it will create problem in achieving real fame. If there is good yoga in horoscope but if they are not strong then also the person will not able to get the desired fame. Any type of pitra dosha, kaalsarp yoga, kemdrum yoga etc also deprive the person from fame. Weak destiny is also responsible for not having fame in life. What To Do To Get Great Fame In Life? If the destiny is not supporting, if the planets are not in favour if there is any type of dosha in kundli then don't worry there is a solutions of every problem. If you really want fame in life then you will definitely get the way. It is said that "where there is a will there is a way". Through special ways of occult sciences it is possible to rock in this world. By using right gems stone in right finger will bring great fame in life. By installing siddha yantra in home and business place it is possible to get fame. By reciting good spell or mantra properly it is possible to win the world. By using meditation in right way it is possible to get great fame. By using the self hypnosis also it is possible to open the way to get fame. So there are many ways through which it is possible to achieve the fame. No one can stop you to achieve the real name and fame. But you should move in right direction. Consult now for the real success in this world through occult sciences.